There are some natually talented cooks who can make a perfect steak, BBQ chicken or fantastic grilled vegetables with one hand tied behind their backs. Some grilling super chefs can even make grilled pizza! But I had to learn to grill the hard way through years of grilling disasters. If you are a grilling challenged cook like I was, these helpful tips are for you. Here, garnered from my many grilling disasters as well as from other grilling challenged cooks, are the best useful tips on how to avoid making your dinner into a charcoal flavored disaster. Do grill over low heat when grilling chicken with skin on. If you grill on high heat, it will be charred on the outside and undercooked inside. 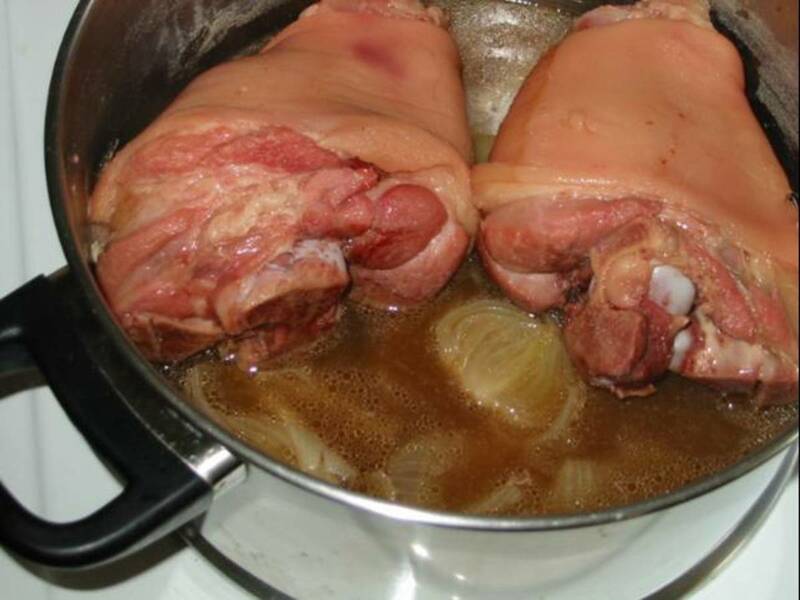 Do flatten skinless chicken breats to even out thickness of the meat. When grilling skinless chicken breasts that are thin on one end, cover with plastic wrap and pound gently with a meat mallet to make pieces of uniform thickness. They will cook better. Do brush BBQ sauce on chicken during the last few minutes of grilling. Putting sauce on too soon will cause the chicken to char. Brush on sauce when chicken is nearly done and just leave on grill long enough to heat it. Do move meat to a cooler section of the grill if the grill catches fire. Too much fat dripping on the coals can cause coals to catch fire. Don’t spray with water, just move food to a cooler spot until the fire subsides. Avoid fat fires by trimming excess fat from meat before grilling. Do check to see if meat is sticking to grill before turning. 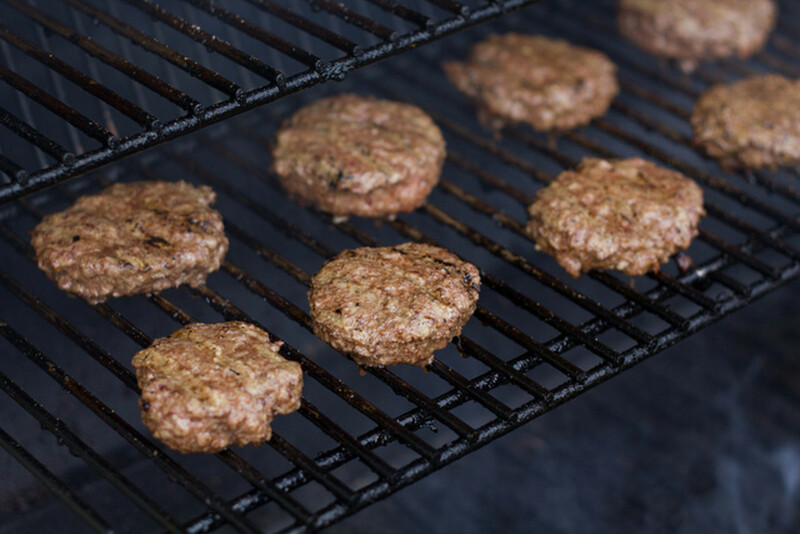 Flip burgers when they have cooked enough on one side so that they no longer stick to the grill. Do use tongs to turn steaks or burgers so that juices don’t escape. 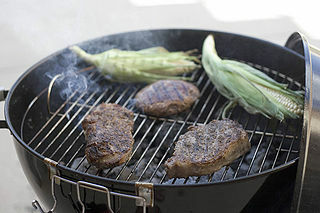 Do brush steaks with olive oil, sprinkle with salt and pepper about 20 minutes before grilling to bring out the flavor. Do let beef come to room temperature before grilling. It will cook more evenly. Do time grilling time for steaks. A good guideline is 8 minutes for a medium rare 1” steak. That’s 4 minutes on each side. See video for detailed instructions. Do not, I repeat, DO NOT put the steak on the grill and go into the house to get a beer unless you really like beef shoe leather. That steak needs undivided attention for the few minutes it takes to grill it. My husband is generally an excellent cook, but his claim to grilling fame is that he has never met a steak he couldn't ruin. After countless disasters, we had to recall his BBQ tools and delegate him to making the salad. My son, Jeff, who has an incredible talent for grilling everything perfectly, takes over. Do Not attempt chicken on a beer can without the proper rack. You know the beer can drunken chickens that people keep raving about? Not that easy and not that great when you are grilling–challenged. First of all, the homemade rigs invariably tip over and spill beer into the grill putting the fire out. Then, you cook it for hours, take out what looks like a perfect chicken and there it is–not quite done. Rare steak o.k., but rare chicken is seldom appealing to your guests. If you have to do the drunken chicken thing, then go ahead and invest in one of the specially made racks that with hold the beer can and the chicken upright. Don’t use gasoline to light your charcoal. That naked-face look with no eyebrows really does nothing for you. Don't forget to tell your teenagers that the meat marinating in the fridge is raw. If you leave cubes of meat marinating in the fridge overnight and have teens living in the house, be sure to put a sign on the bowl that it’s RAW MEAT! My son once ate half a bowl of beef shish kabobs that were marinating overnight before he decided that they were a little too chewy for him. Oh, yeah, he was sick from it! Don’t start grilling chicken without first checking the propane tanks of your gas grill. Running out of gas in the middle of grilling can take the fun out of a BBQ. Don't forget to keep a spray bottle of water handy for those times when the fire gets too hot or the food goes up in flames. Don't go near a turkey fryer unless you read the directions and adhere to them to the letter. Don’t even get me started on those big old deep fat fryers! How many houses have burned down because somebody decided to fire up the deep fryer on his wooden deck. Fill the fryer up with oil…light the fire… drop in the turkey…splash out the oil onto the wooden deck…oil catches fire…deck catches fire…house burns down. And to top it off, the turkey is ruined, too! How to properly deep fry a turkey -- well that's a whole new hub. Jools99 - Here's hoping you have some warm spring weather real soon! But you can grill in hat and gloves. :) Thanks for visiting my hub and commenting! Very good hub - it is quite Arctic here in my little town today in May but I live in hope of grilling sometime over the next month or so once the frost has left my lawn and I am brave enough to take off my fleece, hat and gloves (in May!) - I wish I were kidding! Sunshine - I like to grill because Bill does it! :) Oh, eyebrows and eyelashes are over-rated. I'm sure you have a way of replacing them with your supply of Avon! Bridalletter - It's great to have someone around who is an expert at the grill. I say, let him do it! Thanks for stopping in to read and comment! Janine Huldie - Thanks for your nice comments, Janine. What's a grilling disaster without a little humor! Thank you for your votes and tweets! a lot of important don'ts! Great tips, I would say my boyfriend has that down pretty well. I used to grill but I let him do that. I like the electric smoker and panini maker. I never thought to tell my kids about the raw things in the refrigerator, but they generally don't look at something twice if it doesn't look like it is going to jump out and cook itself! Stephanie, great advice here for avoiding grilling disasters. Seriously quite enjoyed your humor blended in here too!! Have voted up, shared and tweeted too!! I don't know how to grill outside but I think these tips definitely come in handy for when I do get a grill and decide to take on the open flames myself. Great advice! Pinkchic18 - Yes, when my son was a teenager, he would eat just about anything he could find in the fridge. We did get a pretty good laugh out of it. Glad you found some helpful tips for grilling! Oh my gosh, your son ate half a thing of raw beef!? I got sick just reading that! Blaaa! Yuck. Good tips here! Very helpful! Billybuc - That's why my husband has been prohibited from using the charcoal grill --he's just too creative when it comes to lighting up those fires! Way too funny! If people think for one second that others don't do these things they are sadly mistaken. I did the gasoline thing to start a fire once and I'm damn lucky I still have eye brows. LOL....thanks for a great laugh this morning. ktrapp - When my youngest son was a growing teen, he would eat just about anything that wasn't nailed down! Our leftovers never made it until morning. :) Glad you found the hub useful and funny. Thanks for stopping in to read and comment! This is both informative and funny. Although I have to say that it never occurred to me that teenagers would accidentally eat raw pieces of marinating meat cubes. Yuck! Thanks for all the wonderful BBQ advice. Dolores Monet - Too many cooks spoil the broth? :) I'm sure with your fabulous BBQ sauce, the ribs were great! Thanks for stopping in to read and comment! The biggest grilling disasters here are the arguments over just how to cook things properly on the grill. Mother's Day was one big discussion over the proper grilling of ribs, when to put on the sauce (my own special fabulous recipe), and how long to cook them. Voted up for being so helpful. Properly grilled food is so delicious, badly grilled food is just awful. Movie Master - Thanks for stopping by to read and comment! Hope you have some wonderful summer cookouts with no grilling disasters! Excellent advice and tips Stephanie - we've had plenty of disasters in the past! so looking forward to summer and lots of BBQs! Jackie Lynnley - Yes, my son survived the raw meat episode. He was one of those teenage boys who would devour anything! Luckily, it was beef and not chicken! You have the right idea--getting someone else to grill is a great way to get out of cooking! Great tips and I love grilled everything, but I am no good at it. I leave it to anyone else, besides, that is the only way I get out of cooking! Ahhh, about the son eating raw meat. That was one hungry boy! Glad he apparently lived! Randomcreative - Glad you enjoyed my hub on tips for the grilling challenged cook. I hope you found some helpful tips - thanks for stopping by to comment! Great tips, Stephanie, and I love the tone for this hub. It is really easy to assume that most people know many of these basic tips. Diogenes - Most Americans I know love to cook out, even if they make a mess of it! We've had our share of charred chicken, but I think we finally got the hang of avoiding some of the worst grilling disasters. I never heard the "Rosbif" nickname, but I have heard that the Brits like their beef well done. :) I always imagined that California was a hot spot for grilling, so to speak. I'm surprised you weren't converted to be a fan. But some people should leave the BBQ tools to others... Thanks for your very funny comments, Bob! Kashmir56 - Glad you found some useful advice for avoiding grilling disasters! Thanks for commenting! Carmen H - Yes, we've also had our share of flaming grills and burned chicken! Glad you found a few useful tips here - good luck on your next cookout! 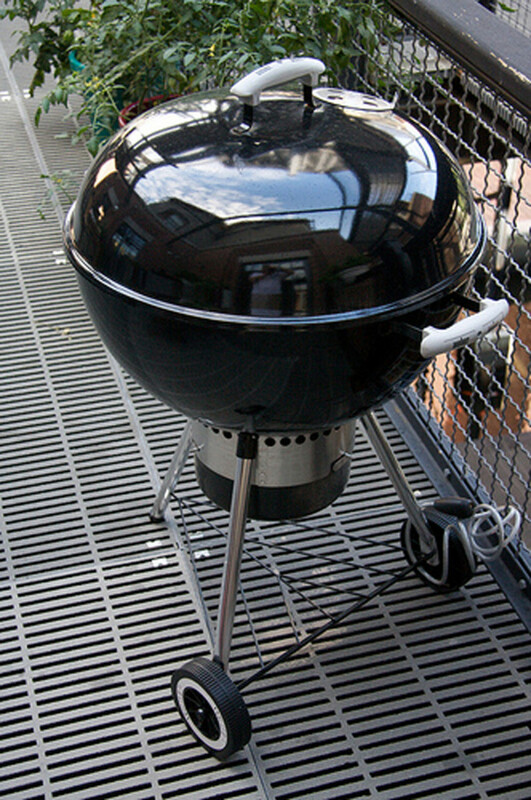 Point2make - It does sound as if you've learned a few things about grilling - I'll send your wife a note to give you another chance at the BBQ grill! Perhaps I'll give my hubby another chance, too, as he did watch the video and took a few notes. :) Thanks for stopping by to read and comment! hahahaha Hilarious, Steph. We don't barbeque much over in Blighty, the weather doesn't permit it. The French laugh at the Brits as it is, suggesting we subsist on a diet of scorched beef...their nickname for the English are the "Rosbifs," and it's not comlimentary...bloody frogs! I have never been a huge fan of outdoor cooking even when I live in Cal and Oz, but there is a good way and a bad way, that's for sure and drunks shouldn't do the cooking. Hi Stephanie all great advice and tips to help make everyone's BBQ a success and avoid any disasters . Thank-you for the excellent tips Stephanie I appreciate the help. I'm afraid that I too have been barred to the "salads" but I still have hope. The videos are excellent and the next time the BBQ gets fired up I will be there with my tongs, spray bottle, timer, and a copy of this hub. Now if you could just convince my wife that I actually know how to use these tools and that our next cook-out menu will not include unrecognizable charcoal things.....well that would be great.